Cardiomyopathy is a chronic heart condition that requires life-long treatment and care. If left untreated, it can cause heart failure and premature death. Lifestyle changes, medication and both surgical and non-surgical procedures may be included in the long-term medical management of the disease. Cardiomyopathy is one of the conditions that qualify for prescribed minimum benefits (PMBs) in South Africa. This means that by law, all medical aid schemes are required to cover defined medical expenses associated with the diagnosis and treatment of cardiomyopathy after any applicable exclusions and waiting periods. However, medical schemes differ in the additional coverage and benefits they offer for members with cardiomyopathy. To ensure that members with chronic conditions do not exhaust their cover, the state introduced PMBs in the form of diagnosis and treatment pairs. PMBs typically cover the costs of clearly defined diagnostic tests and procedures, limited GP and specialist consultations and surgical and medical management based on scientific treatment protocols that have proved successful over time. Schemes have set protocols in place in order to cover themselves and to control the enforced expenditure relating to PMBs. Members are to make use of network providers and a formulary of plan-specific medication has been put in place. To qualify for PMBs, a member has to be diagnosed by a network GP or specialist, and the relevant disease or condition must be identified by the correct ICD-10 diagnostic code. PMBs cover medical and surgical management, including cardiac transplant. Benefits differ depending on your chosen scheme and option. In the dilated and hypertrophic forms of the disease, a pacemaker or implantable cardioverter-defibrillator (ICD) may be required to normalise the heartbeat. In the worst case scenario, a heart transplant may be the only solution. The costs of the procedure are covered by the PMBs. Premium medical aid plans usually cover the costs of the surgical procedures in any private hospital or clinic. Lower-level plans may fund surgery in state hospitals only. Cardiomyopathy is defined as a chronic disease list (CDL) condition, making medical aid scheme members eligible for life-long chronic medication benefits. The medicines covered differ across different medical aid schemes and plans, or bundle of plans. 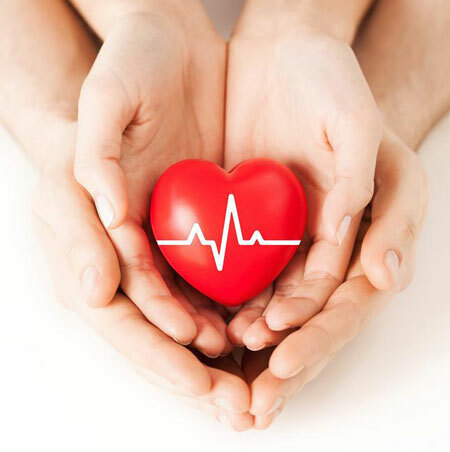 All Momentum Health plans, for example, funds several classes of medication for the treatment and control of dilated, hypertrophic and restrictive forms of cardiomyopathy. Top-tier, more expensive medical aid plans will generally fund a larger selection of branded medications dispensed at a pharmacy of the member’s choice. Entry-level options typically pay for a limited formulary of generic medicines at network pharmacies only. Co-payments apply to scheme members who opt for out of formulary medications at non-network providers. Members diagnosed with cardiomyopathy may be susceptible to complications, including heart failure, pulmonary emboli, valve malfunctions and cardiac arrest. All of these are eligible for PMBs. Medical aid schemes cover the costs associated with the diagnosis, treatment and care of these complications, over and above the cardiomyopathy PMBs. Medical aid schemes provide all sorts of incentives to improve members’ overall health and well-being, and to make themselves more competitive. The Health Returns programme at Momentum Health, for instance, rewards members of top-tier plans with free GP visits, additional cover for specialist consultations in-hospital and cash back simply for getting a free health assessment, complying with the proper treatment and working out. Although medical aid schemes cover the cost of PMBs on all their plans, premium cover offers additional benefits. As an example, we look at Momentum Health’s Summit option which funds organ transplants at any private hospital, MRI and CT scans are covered in and out of hospital, co-payments may apply and an additional monetary value is in place for additional treatment such as pacemakers or prosthetics. Whereas, the entry-level Ingwe option pays for organ transplants, MRI and CT scans and prosthetics at state facilities, limited to PMBs only. At IFC, our consultants have in-depth knowledge of the top-performing medical aid schemes in South Africa and the unique benefits they provide. Why not chat to us today and we’ll identify the best possible medical aid for chronic conditions, such as cardiomyopathy, at the best possible price.